Check out Jamie Oliver's wish to Teach Every Child about Food! America is one of the most unhealthy countries in the world. Our children will have a shorter life span than us as because of the landscape of food that we have built around us! We spend out lives worried about homicide, car crashes, natural disaster, but in reality all of the top killers are diet related diseases (or somewhat)---heart disease, cancer, stroke, diabetes. Let's fix this! Choose this year to plant some vegetables in your garden. Enlist your children to help you choose what to plant, watch how they grow, then how to pick, cook and eat them! It will help us all! We all have bad days....or weeks...but you can pick back up! There are days when those cookies are just irresistible, there are days when one serving just isn't enough! It happens to all of us no matter how dedicated, motivated and strong we think we are! Does one indulgence in a day mean your whole day is blown out of the water? Does one indulgent day mean you should just take the week off? Does a few weeks of chaos mean you should quit worrying about eating healthy and working out altogether? DEFINITELY NOT!!!! Sometimes a little slip can be good for our bodies! It may satisfy psychological and physiological cravings and help prevent you from "falling off the wagon." It's human nature to want what you can't have or aren't supposed to have, so going too long without letting yourself relax a bit can lead to binge eating. This need to be done within reason though! If the food is really fatty and bad for you, please at least share it with someone else! Don't take 2 steps backwards for the big step forward you took last week! Portion size for high-calorie food = very small. Portion size for vegetables = large. Think "W.I.W.M." When you really crave something unhealthy, finish this phrase: "What do I want more?" That piece of chocolate cake or a body I feel proud of? And on rare occasions, it’s okay to pick the chocolate cake! We are works in progress. No one eats perfectly every day, so don’t allow one bad choice to result in bingeing the rest of the day or falling back into old habits—and that includes on vacations. Just because you’re on vacation doesn’t mean that your eating habits are, too! Look forward to all the free time you’ll have to exercise or sightsee on your long walks while on your next getaway. As hard as it may seem at times to get into shape, it's often more stressful, depressing, and even potentially life threatening to remain overweight. Yesterday Tyra was trying some of Shaun T's Insanity moves...a little difficult in the stilettos and jump suit, but she gave it a shot! Check out the clip! What to eat, when to eat and how much to eat? What to eat? The best advice for this is to eat clean! Fruits, Vegetables, Whole grains, unprocessed and natural! If it comes in a bag, look for ingredients that you can pronounce!!! If there are a bunch of preservatives it probably isn't what you need! Avoid white---white sugar, white flour, white rice...these are very processed, quick to digest and have calories but insignificant nutrition that your body needs to excel! When to eat? Every 2-3 hours to achieve 5 smaller meals a day! Determine your caloric needs based on your height, weight and activity level, and either divide these needs by 5 if you plan for 5 meals a day, or take off two 100 calorie snacks and divide the difference by 3 larger meals. I tend to eat a little bit more at dinner as that is our "family" meal, so I save a bit more for dinner time. There are so many place you can go to online to look for calorie counters, recommendations, etc. The Beachbody site is great for determining what you need, they have meal plans if you sign up as a Team member. Livestrong.com has a great resource called the Daily Plate that has some basic information. All of the Beachbody programs come with nutrition plans and recommendations about what to eat when and of course how much. Always look at the nutrition information on the food you buy! Especially at portion size, as often a packet you may think is one portion is in fact 2.5! Are you getting enough vegetables in your diet? I found a perfect solution to make sure I get all of my protein, fiber, vitamins and minerals, phytochemicals and antioxidants, super-green foods, prebiotics, digestive enzymes, and just about everything else your body could ever need! It is called Shakeology! Nutrition is up to 75% of the equation when you are trying to lose weight! If you exercise for 2 hours and then dive into a big mac at McDonalds you might as well have skipped the workout and eaten crackers and cheese! It is time to focus on what you want to do for your body, how you want your body to look next year, even next month, and how healthy you want your body to be! Good exercise and nutrition can be a natural immune enhancer and can lead to a longer and healthier life...isn't that what you want for yourself. Make the decision to help yourself! 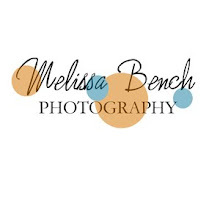 Contact me if you would like some support! 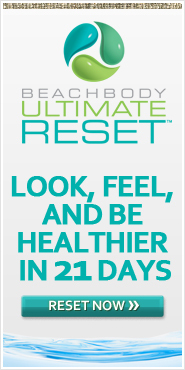 How can Beachbody work for you? Can't get to the gym! Why are you need seeing changes on that scale? 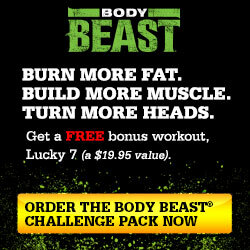 Chance to win Shakeology or another product!